Hopefully you&apos;re not sick of talking about the Golden Globes yet... because besides the gallery of all the pics and soverymanyhow-tos, we STILL need to analyze it! I just love a good awards show beauty summit, don&apos;t you? I&apos;ve narrowed things down to just 10 top looks that I thought were great. Based on creativity, red carpet-appropriateness and most importantly, just general prettiness. Then I&apos;ll tell you about who I didn&apos;t include... which might surprise you! 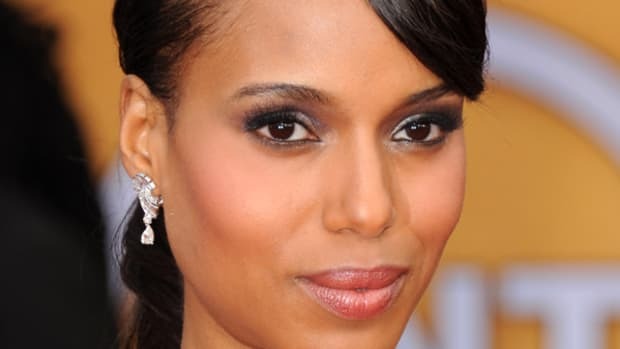 Kerry Washington: She makes it on the list because of her hair. 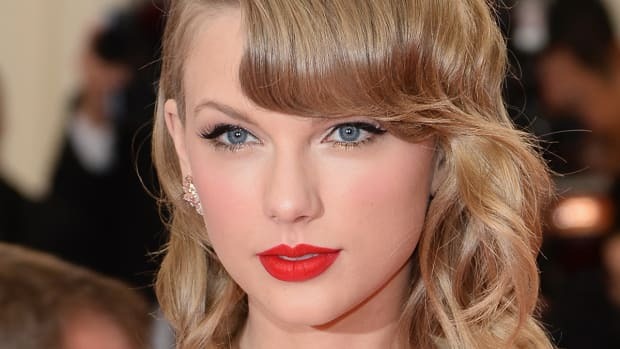 I don&apos;t know if she always had bangs, but I don&apos;t think we&apos;ve seen her wear them this way—totally straight and with a matching lob—for quite some time. (To see how different this is, here&apos;s her most recent BEAUTY EDITOR appearance.) I&apos;d love to see her ditch the highlights, and also that purple eyeshadow. They add nothing and only distract from her beauty. Emily Blunt: I&apos;m going to put this out there that I think she looked the best she&apos;s ever looked that night. Quite a turnaround from whatever-the-eff was going on at the Critics&apos; Choice Awards. Here, I can&apos;t get enough of this pretty ballerina bun (which is hiding her questionable bronde hair colour) and especially the makeup, which is perfection. It&apos;s all Hourglass peoples, and this is how you do it. Katherine McPhee: I know, I know, she&apos;s not exactly A-list. But good hair and makeup need to get credit where credit is due, and I actually approve of this. What a fantastically textured top knot! And then her wicked makeup job really elevates it. Skin looks fresh and lovely, great brows, and those are the smoky eyes of my dreams. NARS, by the way, and I&apos;ll be posting a how-to shortly. Lea Michele: Oh, Lea. I actually like you now. (Weird, because she still gives off that trying-too-hard aura that used to drive me crazy.) But beauty-wise, Lea has really come into her own in the last year or so, and I think she looks quite adorbs here. (Much better than at the People&apos;s Choice Awards.) It&apos;s the unapologetic deep tan, the just-right cascading waves, the pop of colour in the earrings and the pale pink lips—which play off the aforementioned tan. On anybody else, I&apos;d hate it but on Lea it&apos;s just right. This is young, fresh glamour at its best. Isla Fisher: The over-one-shoulder waves are classic. And no, they&apos;re not a new beauty idea or anything. But I still appreciate how Isla pulled them off—the colour is amazing and her hair texture looks soft and touchable. Equally important is that she opted for super-neutral makeup save for that pretty berry lip. She looks dressed up but not too "done." Megan Fox: Here&apos;s another wavy-hair pic, which I chose for much of the same reasons as Isla. Except that Megan is so physically perfect that she almost looks like a brunette Barbie now. Don&apos;t you want to play with her hair? I know I do. Anyway, what I like here is the contrast of the glossy (and well-highlighted) brunette waves set against the pinkness of her makeup and earrings. It&apos;s so nice to see Megan going for this understated glamour now instead of the in-your-face sexiness of the red lips we always used to see her with. Sienna Miller: What the...? I know you&apos;re thinking that right now, and I get it. Probably this is my Sienna crush resurfacing since she&apos;s been away from the red carpet for a while during her pregnancy and now as a new mom. But hear me out. There&apos;s something I have to applaud about how she&apos;s wearing practically no makeup, and her hair is scraped back off her face into a low bun, and she still looks stupidly gorgeous. It&apos;s like she&apos;s saying, I don&apos;t even have to try. Can you see how this is so much cooler than, say, the spackle of a Julianne Hough? Amy Adams: No surprise, Amy is usually one of my red carpet faves so she&apos;s right at the top of my list for this event. (I wouldn&apos;t have given her that distinction for her Critics&apos; Choice look, though.) What works here is the side-part—much better on Amy than in the centre—and the modern take on 1920s finger waves. (You know that decade&apos;s gonna be hot this year, with The Great Gatsby coming out in May.) It also helps that she has the most adorable, infectious smile. Cuteness personified! Marion Cotillard: She wins it for me! Even though Marion has had a few misses along the way (cough*Critics&apos; Choice Awards*cough), she&apos;s basically a beauty editor&apos;s dream on the red carpet, hitting just the right notes of trend-awareness and prettiness. I love that she&apos;s wearing her hair in this new mini-trend: super-long and super-straight but off the face and tucked behind the ears. (Stacy Keibler did it too, and looked surprisingly great.) Marion&apos;s makeup, too, is outstanding: rosy cheeks and lips with just a pop of sparkling blue-green cat&apos;s eye liner along the lash lines. Jessica Alba: Everyone&apos;s raving about the orange lipstick, which was a bold choice for sure... but I didn&apos;t think it went with her Marilyn Monroe hair, necklace and dress. Plus, I think a cool-toned lip (like my current obsession, fuchsia!) would&apos;ve been more flattering on her warm skin tone. Claire Danes: Amazingness that she just had her baby a month ago! And her hair is all bouncy and stuff. But I don&apos;t get the heavy-duty smoky eye fetish. For once, I&apos;d love to see her with a bare-faced look. 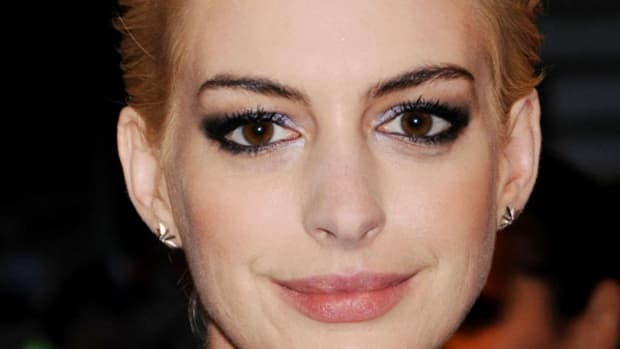 Anne Hathaway: Zzzzzz. Ginnifer Goodwin needs to lend her some short-hair tips! Nicole Richie: Props to her for trying the blue eye makeup trend... but something got lost in the execution and it aged her by 20 years. Julianne Hough: I liked the idea behind what she was doing (gold makeup, cool quiff) but she was wearing waaaay too much eyeshadow. Like, gold threw up all over her. And for worst of the night, it&apos;s gotta be a tie between Kaley Cuoco (scary dark lipstick and matching roots) and Jennifer Lopez (completely bizarre use of highlighting and contouring, plus suspiciously arched eyebrows). Who were your GG favourites? Who looked totally blah, bad or downright scary? If you had to wear one look in real life, which would it be?